Yami has been a hometown hit from the very beginning. James Rice, the original founder of Auburn Dairy Products, was a hard-working innovator who brought wholesome dairy products to his customers in Auburn, Washington. Now their dairy products are enjoyed throughout the Pacific Northwest and beyond. Yami yogurt is still made in Auburn, not far from Rice's first facility. Their milk is sourced locally from neighbors who take immense pride in their farms. Their cows are tenderly treated and are never given artificial growth hormones—no rBST ever! Take a virtual tour at Yami Yogurt. Yami Blueberry Yogurt - 6 oz. Ripe blueberries nestled below a level of creamy, low-fat yogurt. 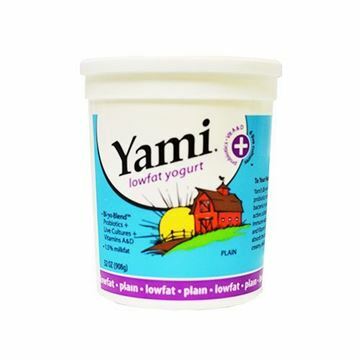 Yami Low fat Plain Yogurt - 32 oz. A quart of creamy low-fat plain yogurt that's recipe-ready. 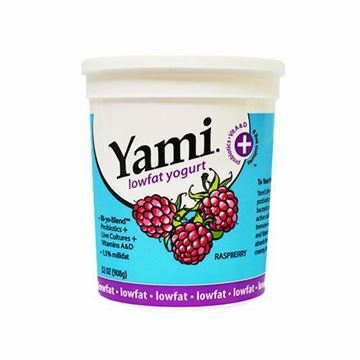 Yami Low fat Raspberry Yogurt - 32 oz. A quart of low-fat raspberry yogurt. 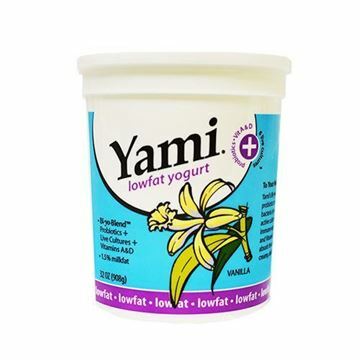 Yami Peach Yogurt - 6 oz. Juicy peaches nestled below creamy, low-fat yogurt. Yami Raspberry Yogurt - 6 oz. Sweet-and-tart raspberries hidden under a level of creamy, low-fat yogurt. 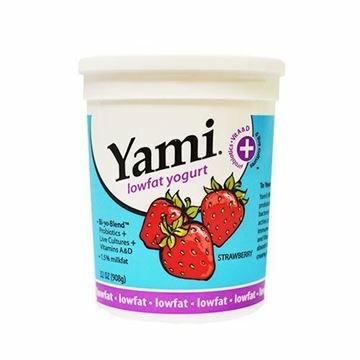 Yami Strawberry Yogurt - 6 oz. Succulent strawberries buried beneath a level of creamy, low-fat yogurt.